Bassett Unified School District is inviting parents, students and the community to attend Open House events through Thursday, May 19, showcasing the engaging academics and programs at each of its schools. Schools will feature campus tours of their newly renovated and modernized classrooms, presentations on student and staff achievements, and meet and greets with school staff and administrators. Bassett High’s showcase will include an alumni and parent panel discussion on the school’s academics and programs. 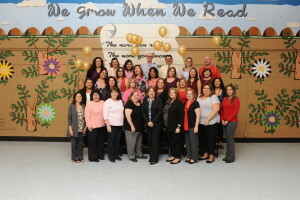 Don Julian Elementary School has been named a California Gold Ribbon School for promoting a college-going culture over the past five years through the No Excuses University program. 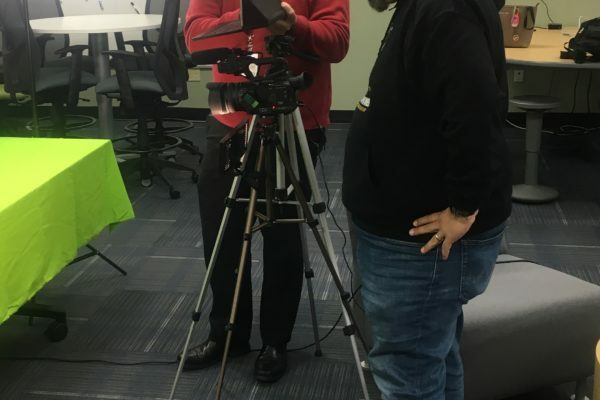 The program creates a college-going culture that emphasizes students and parents to begin thinking and learning about different colleges at an early age. The Gold Ribbon is California’s highest academic honor, created in 2015 as a substitute to the Distinguished School Program to honor schools for model programs during rollout of the new California Standards. 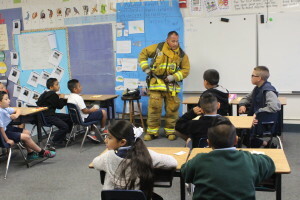 Follow-up Story: Sunkist Elementary School on April 6 hosted its second annual Vehicle and Career Day, where students attended presentations and viewed live demonstrations from industry leaders, including a pediatrician, nutritionist, professional photographer and digital marketer. 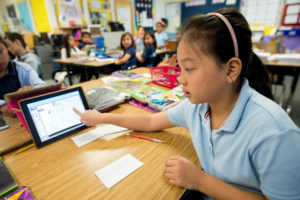 Third- through fifth-graders attended 30-minute presentations from experts in various fields. Transitional kindergarteners through second-graders took part in Vehicle Day, where police cars, semi-trucks and fire trucks were displayed for students to investigate. 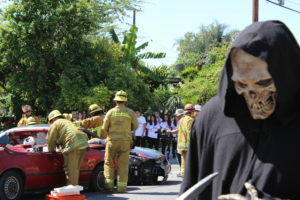 Follow-up Story: Five Bassett High students, portraying victims of a vehicle collision, sat stunned or lay unconscious in a pair of battered cars on April 19 as part of a two-day program designed to bring home the consequences of driving under the influence of alcohol or drugs, or driving while distracted. More than 500 juniors and seniors watched the “Every 15 Minutes” program unfold from the sidewalks, just 10 days before prom. As Bassett High School senior Ailsa Thai wraps up a prestigious scholarship program at Ryman Arts, she has not only sharpened her skills – she has made a life-changing discovery: Artists don’t have to suffer for their work. Thai is the second Bassett student selected in the 25 years that the Los Angeles-based arts program has provided high school scholarships. This year, Ryman Arts chose more than 300 high school students for its three-semester program. Photos are available. Bassett High School senior Eric Marquez credits teachers at the school’s Health Academy for helping him discover a deep desire to care for people and inspiring him to become a registered nurse. 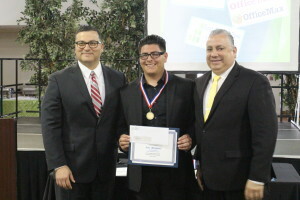 For his dedication to his academics, Marquez has been named one of 14 recipients of $400 scholarships through the Principal for a Day Scholarship program, a collaboration among area school districts. He received the award March 16. Bassett High senior Ailsa Thai has been accepted into the prestigious Ryman Arts program – the second Bassett student selected in the program’s 25-year history. Thai’s passion and creative expression in art landed her a three-semester scholarship. 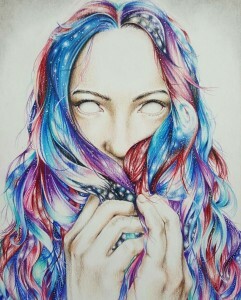 She will hone technical skills in different mediums, including acrylics, watercolor and graphite. She will complete the program this spring with more than 300 high school students from across Southern California. Photos are available. Follow-up Story: Seven Bassett High School students earned 15 individual medals in the Los Angeles County Office of Education Academic Decathlon held earlier this month for speeches on the importance of music education and success in a Super Quiz covering math, art and science. Decathletes Ailsa Thai, Natalie Rojas, Enrique Lucas, Alondra De Leon, Marianna Acevedo, Felipe Perez and Victoria Gurrola spent more than half a year preparing for the two-day competition among 50 schools. Photos are available. Photos are available. Sixth-, seventh- and eighth-graders from Torch Middle School and Edgewood Academy competed against each other Feb. 19 in Bassett Unified School District’s first math competition. Students went against their respective grade levels in groups of four in three, 30-minute rounds. The first two rounds focused on teamwork, with students explaining their problem-solving processes to each other to arrive at the same answer. The last round was based on individual tests. 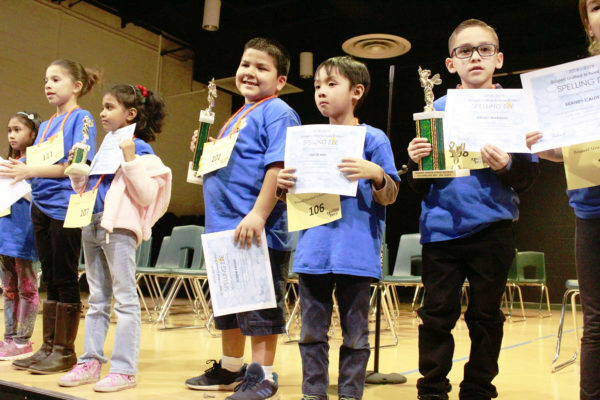 The top two students from each grade level will compete in the Los Angeles County office of Education’s Math Field Day on Saturday, April 30. Photos are available. 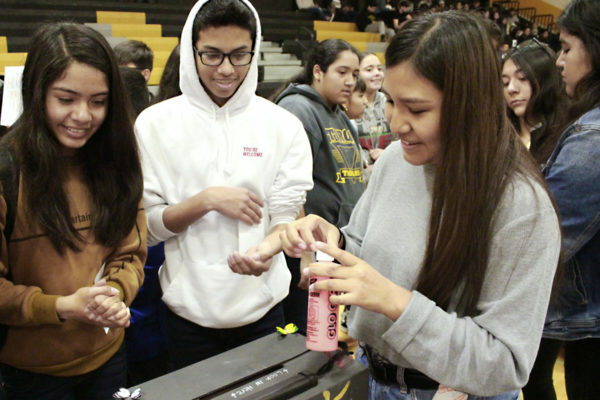 Follow-up Story: Students poured glowing goo into clear jars and generated light with oranges as they unleashed their scientific curiosity at Bassett Unified School District’s first Science and Engineering Fair. After each school held individual science fairs, students from first through 12th grade with the top projects competed for trophies at the Watanabe Center at Torch Middle School on Feb. 16. First-place winner Nueva Vista High School senior Angel Lopez-Alarcon compared changes in heart rates to determine whether a Christmas or French song would be more relaxing to listeners. Photos are available.